We often tell children to think outside the box. We want them to think outside the box and be able to solve problems without hesitation. A natural way to think outside the box it to start working with manipulatives that give children the opportunity to use creative thinking. As a part of the Guidecraft Educator’s Team I got to review a construction toy called Texo. TexoTM is the award-winning 3 dimensional design and construction system by architect, author and designer Lester Walker. 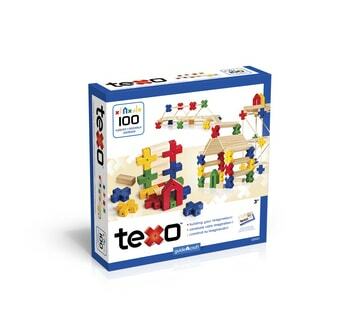 The beauty of TexoTM is the variety of building systems found within one toy: simple puzzles, shape sorting and color matching at its most basic level, the system allows for a gradual progression to stacking the interconnected shapes and on to advanced architectural models such as bridges, houses, skyscrapers and more! Solid wood rods and planks coupled with the geometric precision of molded plastic connectors enhance the design and construction potential. Also included is a deluxe Activity Guide with how-to’s, commentary and step-by-step instructions on maximizing the potential of TexoTM. Ages 3+. 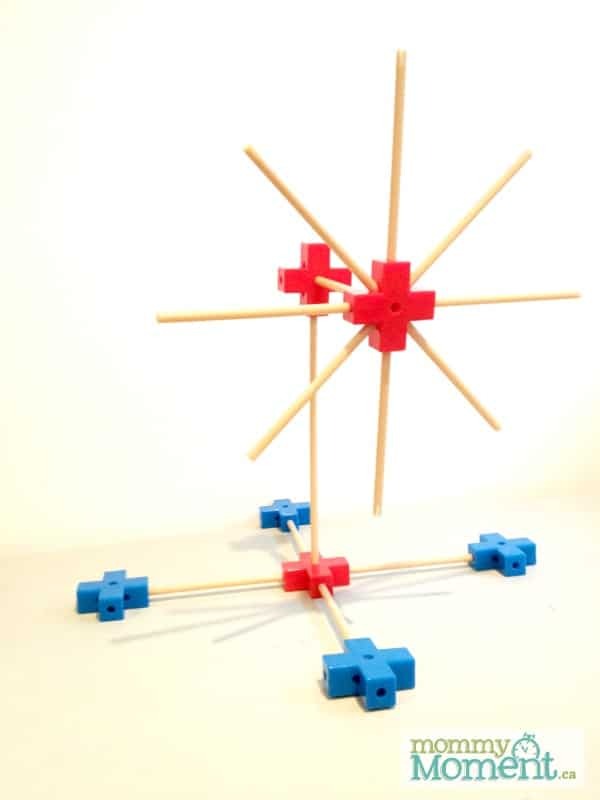 The new this series of construction toys to help your children to think outside the box. 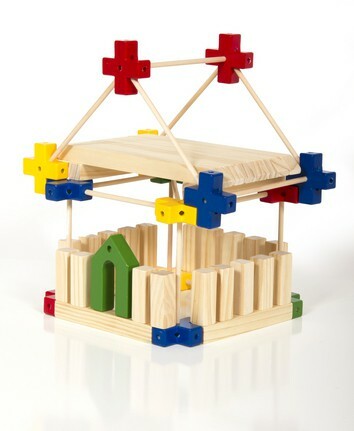 Using a series of plastic rods and large colorful geometric shapes the children can make structures to their hearts content. The long plastic rods connect to the large shapes and planks can be placed on the rods to create roads, roofs or whatever your imagination dictates. In watching little one’s work with their Texo, it was plain to see what they loved and how their minds worked. A 5 year old immediately began to build to a windmill like the one we have at our local museum. She is a free spirit who loves to play, play, play. An 8 year old decided to built a grand house, complete with several stories and windows and doors. She is the concrete thinker who needs to know that things are stable and not going to move. It is nice to see how one toy can be used very differently by children. I see Texo as a learning resource that helps teach children valuable skills that will help them lay the foundation for math and problem solving skills. Bright colored plastic and quality wood makes this a product that I would recommend for any classroom, home or wherever your future engineers might be. Enter to win a 100 piece Texo set from Guidecraft! (ARV $39.95) This month the giveaway is being held on Pre-K Pages. The Giveaway is open to Canada and US and ends at 12:00 am EST on Sunday, September 29, 2013.